According to promoter Dan Goossen, former welterweight champion Paul Williams will be making his return to the ring in early 2012. "Right now, we'll be fighting sometime in the first quarter of 2012 and look to get Paul Williams the biggest fight we can get him," stated Goossen in a recent coversation with FightHype. "The Punisher" was once looked at as the most avoided fighter in boxing. At 6'2" and known for consistently throwing over 1,000 punches in a fight, the southpaw Williams has always been willing to take on all comers from welterweight to middleweight. After a devastating knockout loss to Sergio Martinez last November, Williams returned to the ring this past July to win a very controversial majority decision against Erislandy Lara. Almost everyone who witnessed the fight had Lara winning going away. Goossen, however, still stands behind his fighter and believes that, though the fight was close, Williams pulled out the victory. "Virtually days after the fight, I had conversations with George [Peterson, Williams' trainer] and Paul. I said it the night of and I said it in the days afterwards," Goossen explained. "None of us sat back and thought it wasn't a close fight, but we also thought Paul pulled it out. However, on the other side of it, if they gave it to Lara, it would been understood." After the fight, the New Jersey State Athletic Commission suspended all three judges, Donald Givens, Hilton Whitaker III, and Al Bennett, until all received further training. "I believe it could've gone either way. I do believe we got the victory. I don't want to ever be in a position to have to say we got the victory and know we didn't. The business doesn't need it. I thought Paul justifiably got the victory," stated Goossen. 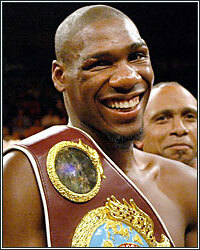 Sergio Martinez's knockout of Williams came on an overhand left that Williams claimed he never saw. In the weeks leading up to the Lara fight, both Williams and his trainer stated they could not train for a punch they can't see coming. Not surprisingly, Lara used the same formula as Martinez, landing repeated overhand rights throughout the fight. Goossen says observers focused too much on the work Lara was doing, and not enough on the damage Williams was inflicting. "I know people are talking about him getting hit with the same punch, but what a lot of people aren't talking about is the fact Paul made 5, 6, 7 punches in a row that did damage on Lara," Goossen added. "The best way to substantiate what I say is if Lara wasn't taking those kinds of shots, why wouldn't he have been busier? He wasn't in a position to be because of what Paul was doing." Email comments to dkassel@fighthype.com, "Like" The Boxing Observer on Facebook, and follow us on Twitter @BoxingObserver.